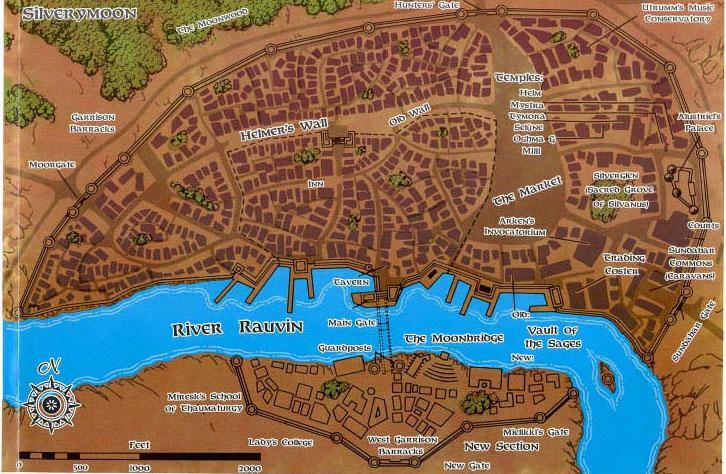 This is part 1 of the Map I did for the Silver marches accessory from WotC and the Forgotten Realms campaign setting. I took the world map they have for FREE download on their site, and 'cut' the section out that I needed.... A Vast Frontier Fraught with Endless Peril Haunted by malicious dragons, hordes of orcs, and other ferocious creatures, the relentless cold and unforgiving terrain of the Silver Marches promise undiscovered riches and unspeakable danger to those bold enough to venture there. Tired of struggling to update the Forgotten Realms monsters for D&D v.3.5? Designers Rich Baker and James Wyatt have done the work for you -- not just for the campaign setting monsters, but also for the Forgotten Realms Monster Compendium, City of the Spider Queen, Silver Marches, Magic of Faerûn, and Faiths and Pantheons.